President Donald Trump claimed in a pre-Super Bowl interview Sunday that NFL ratings are up because he ended player protests against racial injustice. 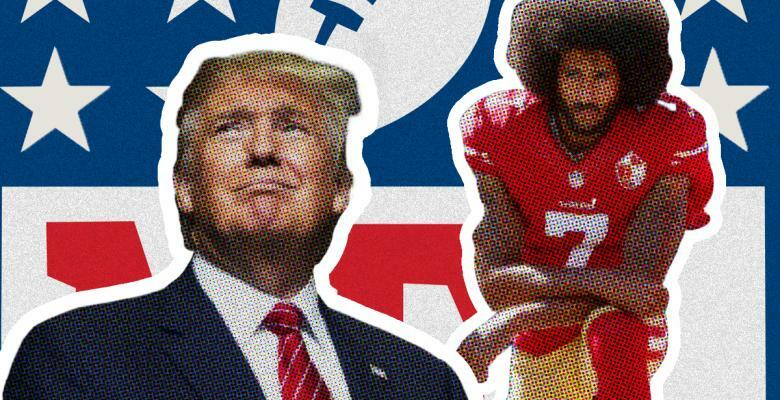 In an interview with CBS News, Trump took credit for players no longer kneeling during the national anthem to protest racism and claimed that the end of the protests resulted in improved popularity. “I think that when you want to protest I think that’s great,” he told host Margaret Brennan. “But I don’t think you do it at the sake of our flag, at the sake of our national anthem. Absolutely." Trump’s interview aired shortly before the Super Bowl. The game saw a huge drop in ratings from last year and the lowest ratings of any Super Bowl since 2009. CBS Sports host James Brown appeared on the show after Trump and took issue with the president’s comments. Georgia Rep. John Lewis spoke out during the Super Bowl weekend in Atlanta in defense of players who protested racial injustice during the anthem.